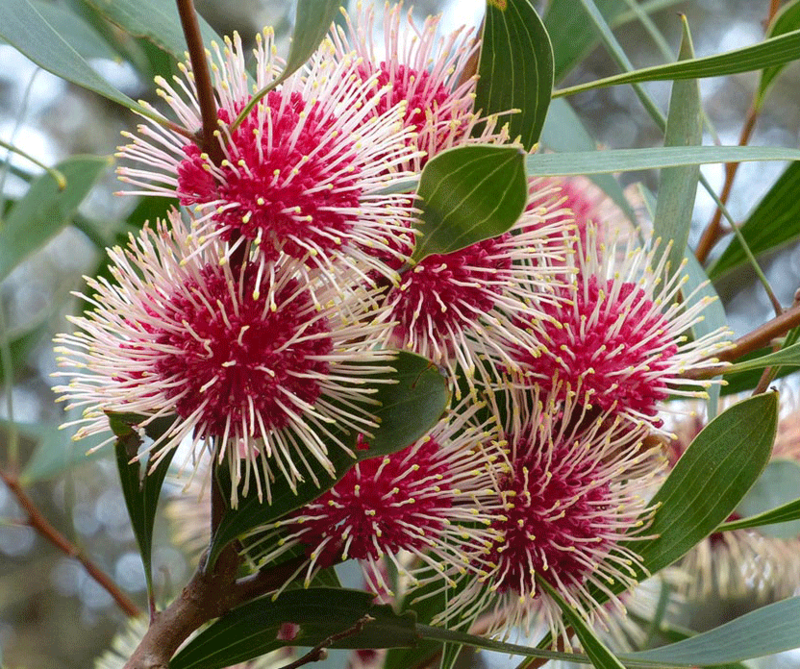 This native plant to south west Australia is commonly known as the Pin Cushion Hakea. It becomes a roundish tree or upright shrub reaching a height and width of around 5 metres, if left alone to grow. The flowers look like cherry-coloured balls with creamy spikes or needles coming from the centre – just like a big pin cushion! 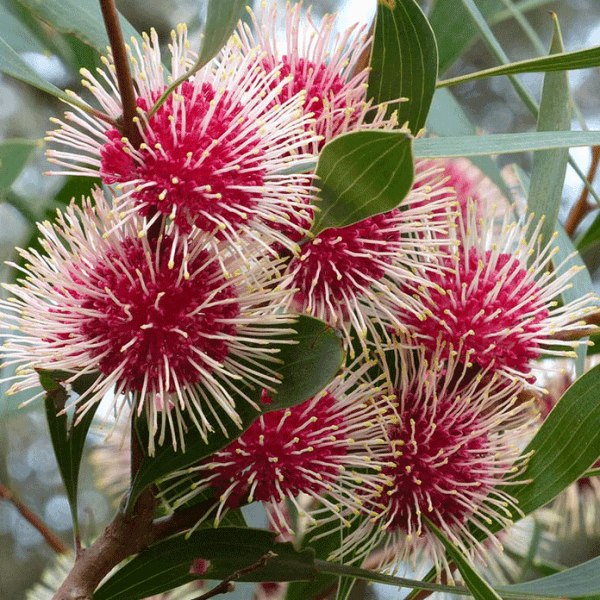 The Hakea makes a great street plant with its green leaves and adaptability to most soil types.